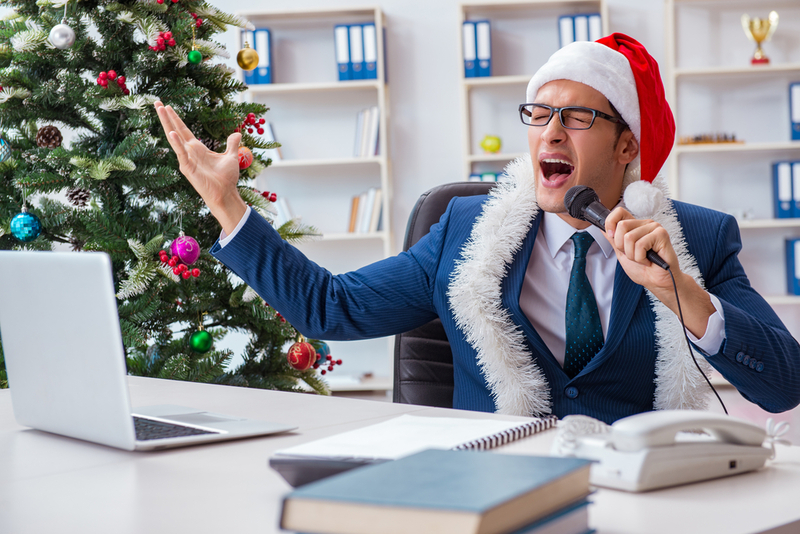 Holiday Survival Tips for the Boss - ZM Ventures Inc. The holidays can be tough for the leaders in business. The weight of responsibility can be magnified during the holiday season with increased demands professionally and personally. As Shakespeare wrote, “Uneasy lies the head that wears a crown.” Though not adorned with actual crowns, leaders and entrepreneurs may over time, become uneasy under the weight of responsibility that comes from being a visionary, problem fixer, solver and lead. It’s critical that leaders have a plan to thrive, not just survive the end of the year business demands and seasonal festivities. Be grateful: Over 40 million American adults suffer from anxiety disorders. During the holidays, many turn to food and alcohol as coping mechanisms for depression. Instead, practice gratitude and demonstrate appreciation for employees, fellow leaders and customers. Host a celebration, write a note or distribute a Thank You newsletter to honor the value people have brought over the year. Take some personal time to reflect and be grateful for your life, family and business. While everything may not be perfect, focus on the positive to multiply and enhance your overall outlook. A gratitude journal is the perfect tool to keep at your desk during this season. Overcommunicate: Listening is a key component in communication, although often underutilized. Challenge yourself to listen more and respond accordingly with honesty. Keep in mind that the holidays are challenging for most people. Make sure the message you and your organization sends is vetted through a third party reviewer and is uplifting, not annoying or condescending. Verbiage should always match the brand you represent. To combat to competing messages in the marketplace as well as at home, communicate your message using more than one medium with a greater frequency. After all, we are human and can forget very quickly when inundated. Stay motivated and motivate others: Particularly if you manage Generation Xers or millennials, provide a goal assessment and strategies to stay abreast for the remainder of the year. Be very clear about what is to be achieved, role(s) others play and the reward for meeting or exceeding milestones and goals. To stay motivated, remind yourself of what you have accomplished thus far and how your skills contribute to making the organization a better place. Practice connection: Not networking skills. During the holiday season there are plenty of opportunities to meet or be reconnect with people. Set a goal to not only meet them but to make a connection. Success is not only measured by meeting goals but by the quality of relationships. ZM Ventures, Inc. wishes all of you reading this post a very happy holiday season and a terrific 2018! Greenwade, LaKisha. “Holiday Survival Tips For Entrepreneurs: Take Care Of Business (And Yourself).” Forbes, Forbes Magazine, 8 Dec. 2017, www.forbes.com/sites/forbescoachescouncil/2017/12/08/holiday-survival-tips-for-entrepreneurs-take-care-of-business-and-yourself/#5e83cbcc5174.